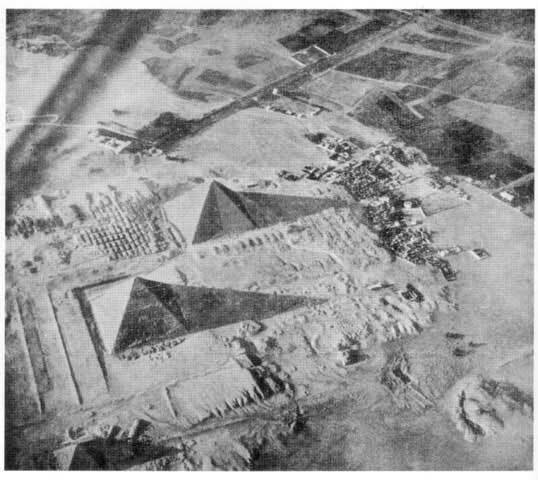 A photograph rather fortuitously snapped by Brigadier General Groves and first published in 1929 shows the vertical bisection of one of the sides of the Great Pyramid as revealed by the sun illuminating only one half of this side. The Great Pyramid therefore actually has eight sides, not four, but this hollowing-effect is not visible to the naked eye. It does not exceed 37 inches on any face of the pyramid. 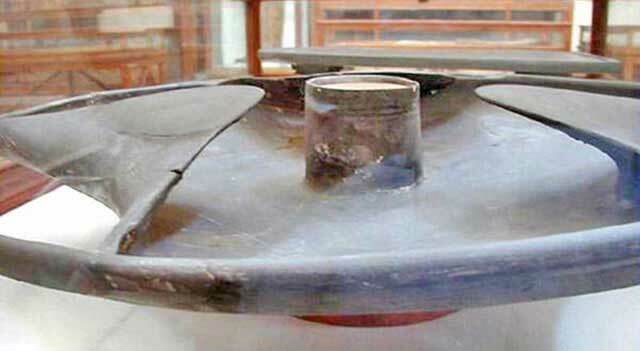 Why would a tomb for a pharaoh have been designed to have concave sides? Figure 17. 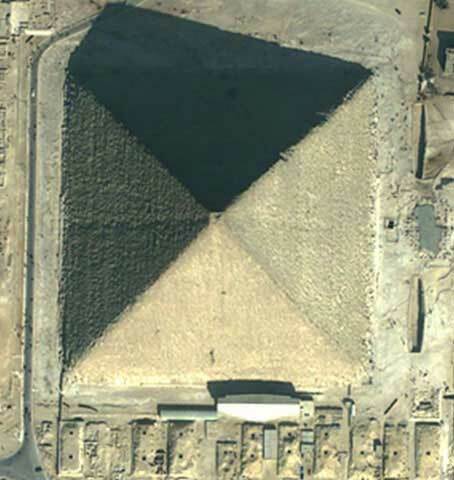 Satellite image of the Great Pyramid, bisected left side clearly visible. 5. An escape route for the soul of the King? 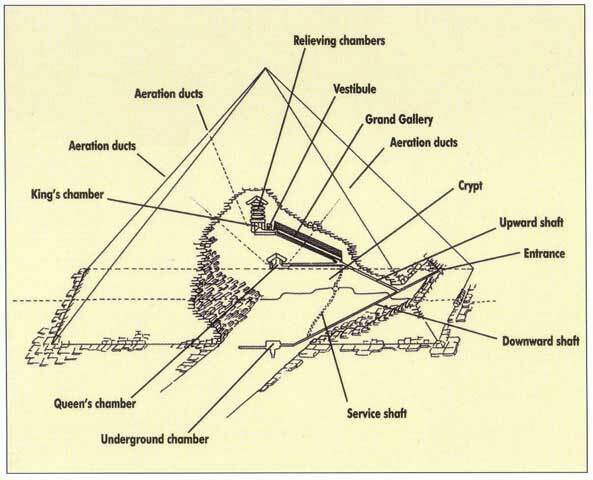 The Great Pyramid remains one of the greatest mysteries ever. Its internal construction is precise beyond comprehension, yet the official reason for its very existence remains that it was meant as a tomb for a king. 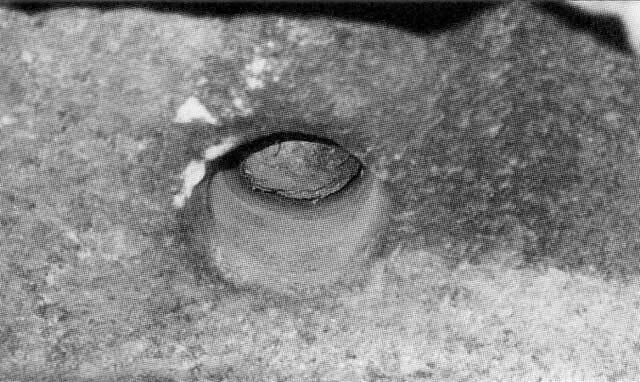 Several shafts were cut with utmost precision at oblique angles through tons of stone. 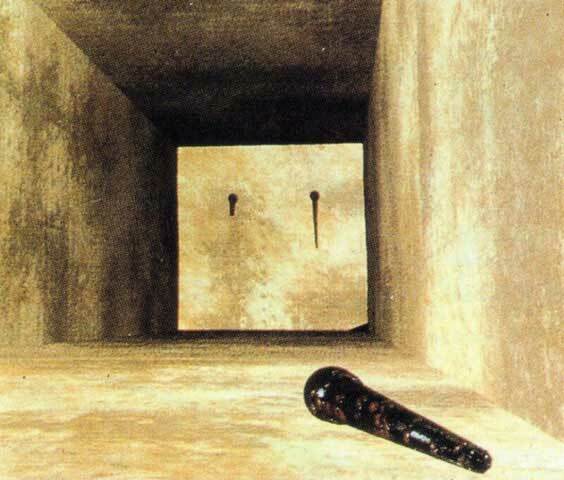 Orthodox Egyptologists maintain that these shafts were an escape route for the soul of the king. A robot with a camera was sent up one of these shafts, only to discover that it was blocked by a small door (see below). A hole was later drilled through this door, only to find another on the other side. Could this really have had anything to do with the soul of a king having to pass up this shaft? Surely, as argued by many, there must be a scientific reason for the existence of the pyramids! Figure 19. A ‘door’ blocking a Great Pyramid shaft as filmed by a robot equipped with a camera [Von Daniken, Return of the Gods]. Read more about the secret doors here. 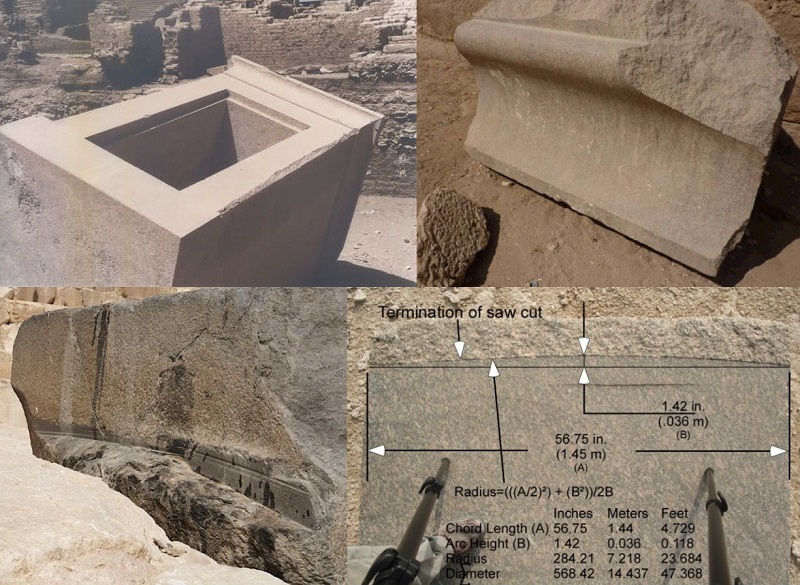 Some interesting statistics and calculations on the volume and number of stone blocks in the Great Pyramid can be found here and here. 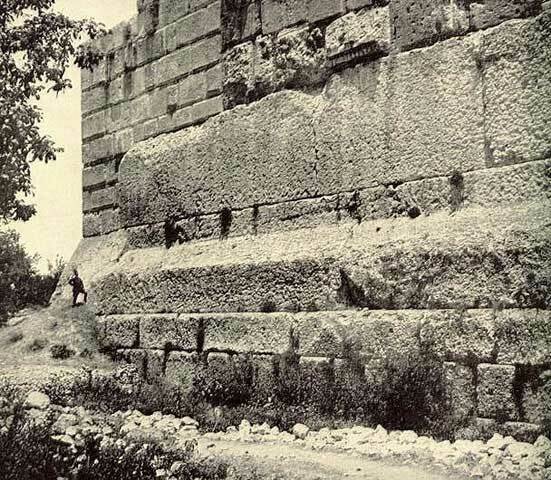 Apart from the Great Pyramid itself, numerous ancient structures have been found with masonry that is simply mind boggling. 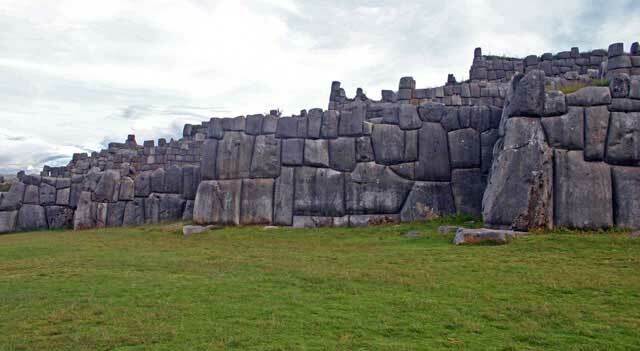 How did the ancients manage to transport these massive blocks of stone and cut it so accurately and seemingly effortlessly? 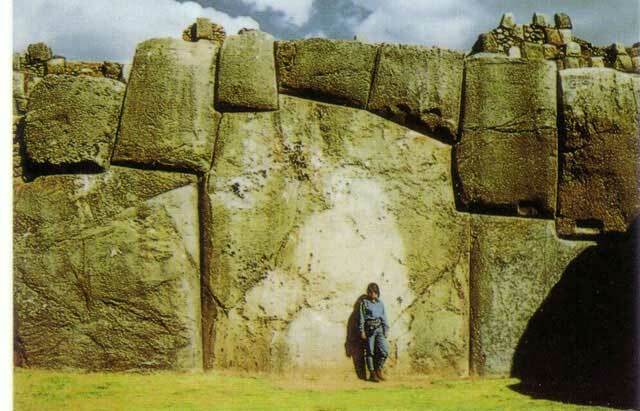 These megaliths at Ollantaytambo, Peru, were cut from a porphyry quarry 8km away and 900m above this site, on the opposite side of a river valley. 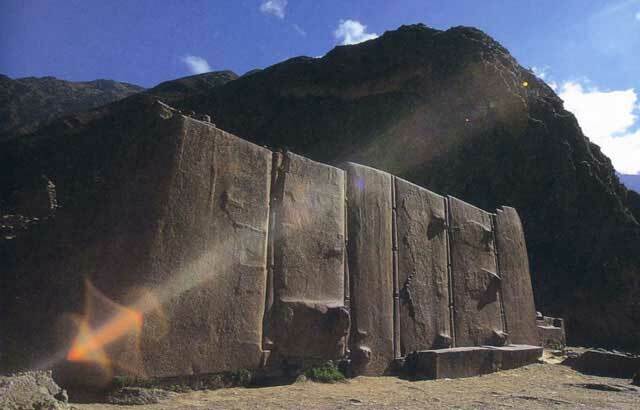 The blocks, on average 1x2x3.8m in size (mass about 19 tons), therefore had to be transported that far, down to the valley floor, across the river and then up a steep slope to Ollantaytambo. Why go to all this trouble, unless it was relatively easy to do? Can we repeat this exercise today without the use of modern machinery? 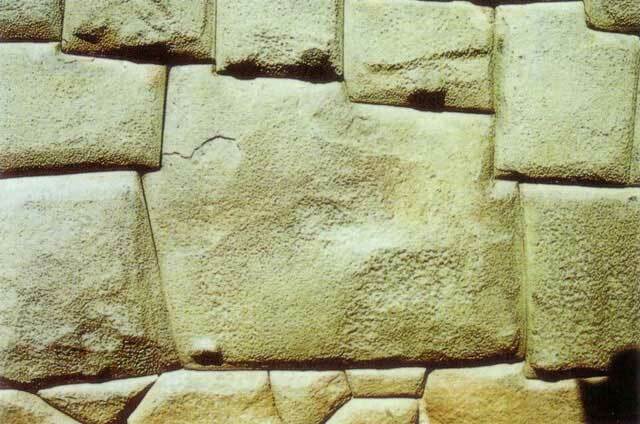 These blocks almost appear to have been finished off in situ. How did they plan to raise and transport this obelisk? What was this to be used for? 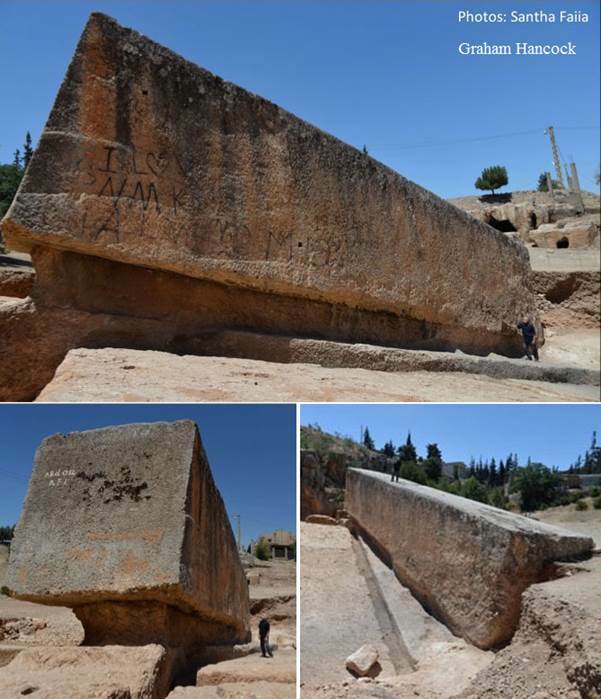 A newly discovered megalith at Baalbek literally outweighs anything similar discovered so far – a block of stone measuring 19.6 x 6.0 x 5.5 meters with an estimated mass of 1650 tons (Figure 27a) – read more here. 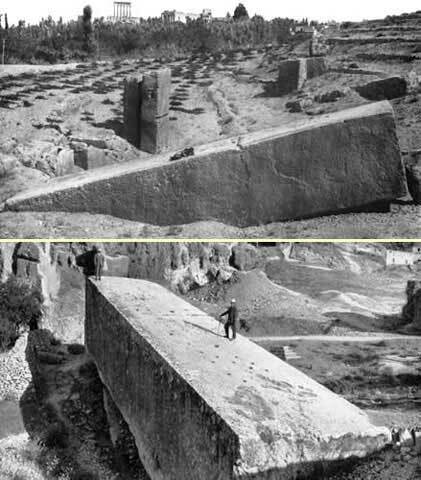 Scientists agree that the ancients had every intention to lift this block as one piece – how would they have been able to so? How, when, who, what for? Why was this technology lost? 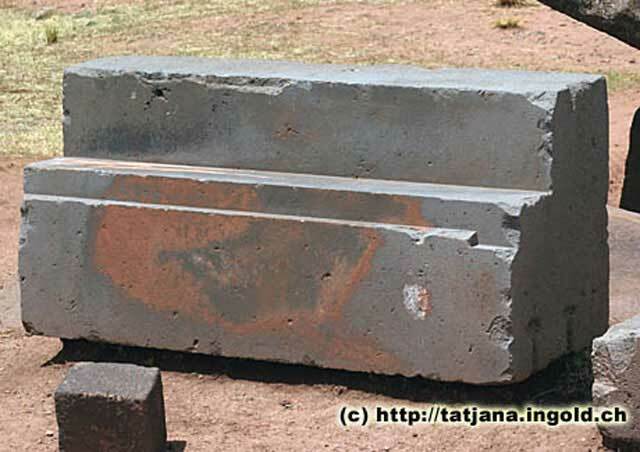 At numerous ancient sites evidence has been found of stone blocks that have been ‘machined’, drilled or cut with high accuracy that seemingly would require 20th century tools and equipment. Some of these are shown below. It is unthinkable that such an advance technology could have existed in ancient times. Why is there no trace of such machinery to be found, yet ample evidence of its former existence does exist? Technology developed by a nation or group of people will continue to be developed and expanded, but a less advance civilization who have not mastered the basic principles will in time lose this technology. Figure 30. 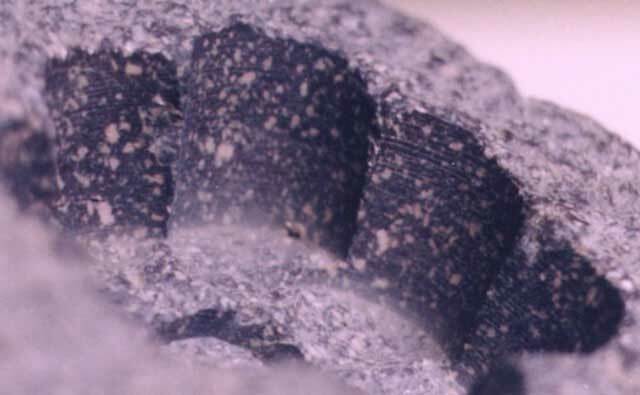 Tube-drilled piece of granite displaying spiral grooves characteristic of tube-drilling [GEP, details below]. Figure 32. 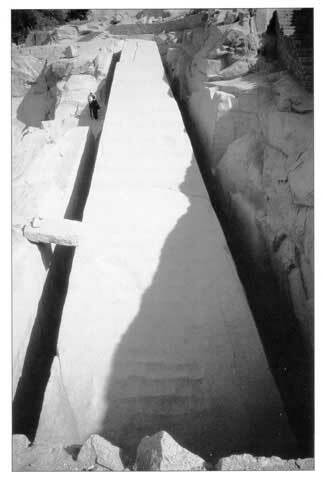 Drill hole at the Aswan quarries, 12 inches in diameter and 3 feet deep [GEP]. Today this can be done with relative ease, but requires sophisticated power tools. 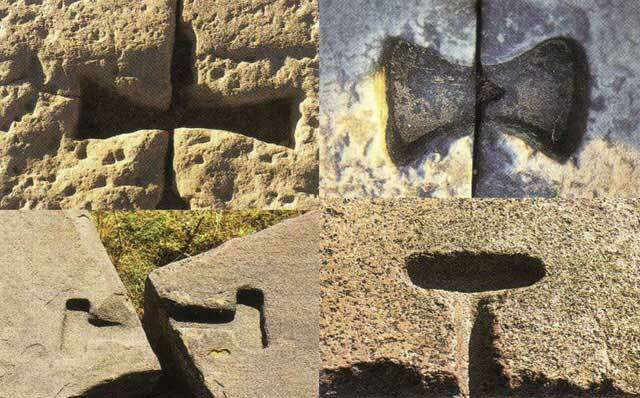 The ancients also seem to have mastered a method to saw through rock and stone, as shown in the image below. There is no indication of the ‘wobbling’ of the blade that would be associated with a hand-drawn saw. It rather represents the saw marks left by a rotating blade held steady. 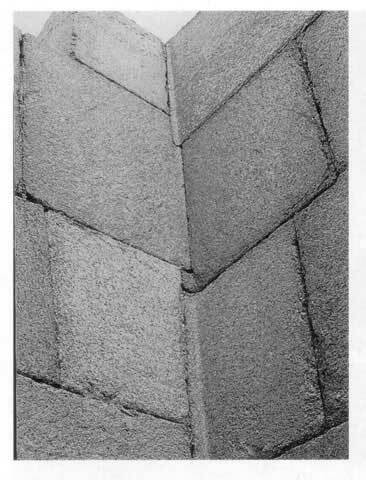 Figure 34.b Additional examples of extreme masonry, from Giza and South America by Lee Anderson (Thanos5150) at GHMB. All done with ropes and primitive copper tools, of course. 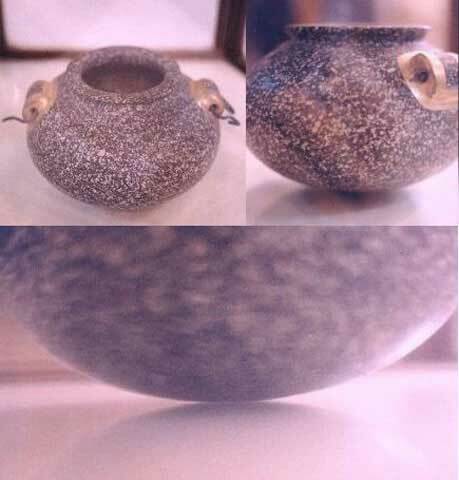 Other extraordinary objects include a ‘horn’ of schist, a brittle type of rock, machined to have paper-thin edges, an asymmetric schist bowl with ‘lobes’ (an ancient propeller?) and an ‘ornamental toilet tray’ of equal complexity. How did the ancient Egyptians manufacture these, and why was the technology lost? It would be a challenging task for any modern machinist working with aluminium, not to mention stone! They had tube drills - drill bits and the machinery to hold them steady and apply rotational torque. They had saws that would cut granite with ease and precision. They had the ability to sculpt the hardest of rocks. They were accomplished at finishing granite in situ - after a block had been placed in a wall or on the surface of a pyramid. They had the ability to cut, level and polish granite to a sophisticated degree of flatness. 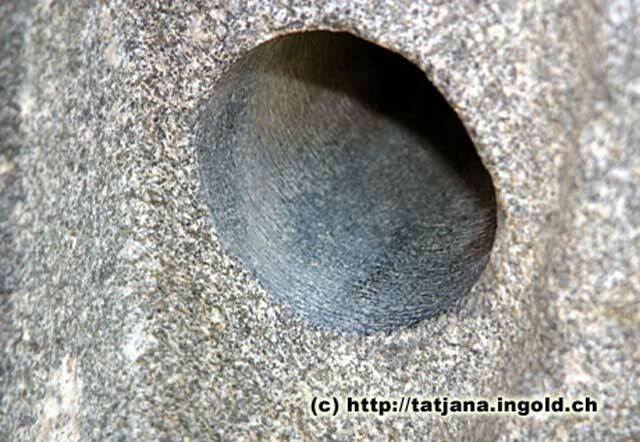 They had lathes that would turn and polish granite, schist, basalt, etc (in ways we have not duplicated). 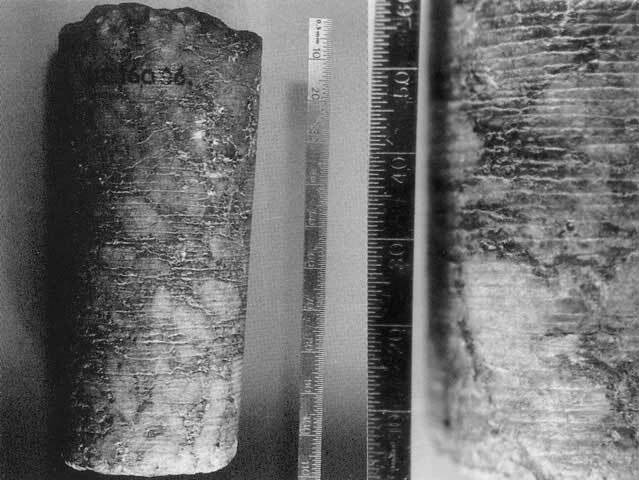 They had the means to cut extremely accurate parallel limestone joints with remarkable flatness over large surface areas - 35 sq.ft.or more, and apparently had mastered the technique before beginning the casing of the Great Pyramid at Giza. They had the knowledge and technology to consistently lift, exactly maneuver and delicately place enormous weights of stone. They had the means and motivation to quarry and move millions of stone blocks. 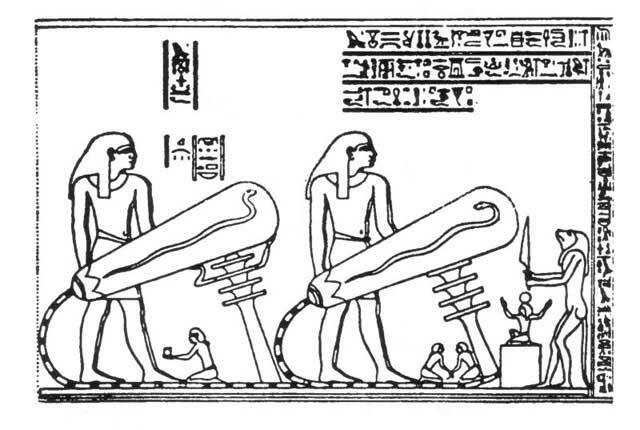 The Egyptian reliefs shown below have been interpreted by many as some kind of a power tool (a power drill?) or as ‘lights’. 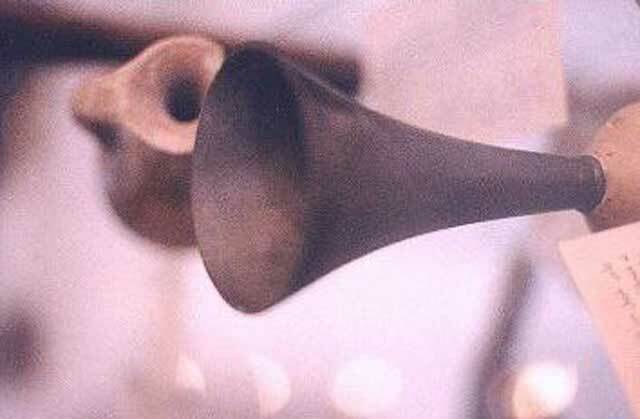 Whatever it represents, it does appear to be some kind of instrument. It is possible that the serpent symbols may indicate ‘serpent power’ and the size of the operators compared to the other human beings suggests that the operators may have been regarded as ‘gods’ or ‘giants’. 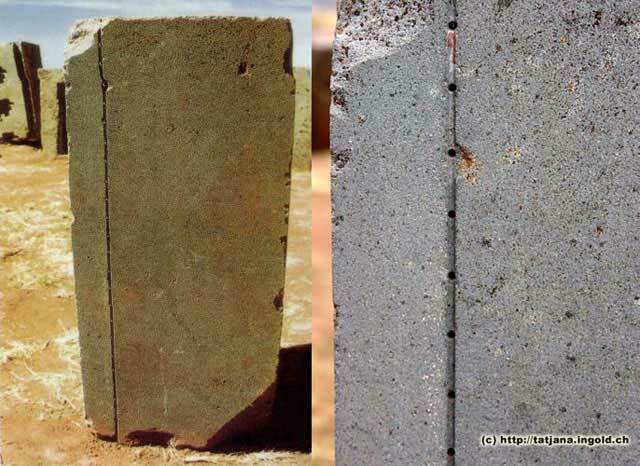 The photographs below show imprints of what must certainly be metal clamps intended to join these blocks of stone. 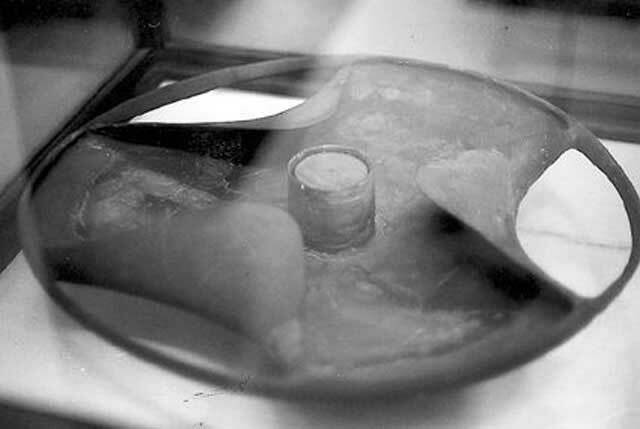 Scanning electron microscope studies have revealed that the clamps were poured molten into the imprints, requiring a portable smelter, and a spectrographic analysis of a clamp found in Bolivia revealed that it contained 1.7% nickel, of which there is no source in Bolivia. Why was this technology lost? Rock Properties: Why the ancient Egyptians can carve rock with stone and copper tools. Whether these methods could realistically have been used as proposed will be left for the reader to decide. The question nevertheless remains – why had this technology been lost? 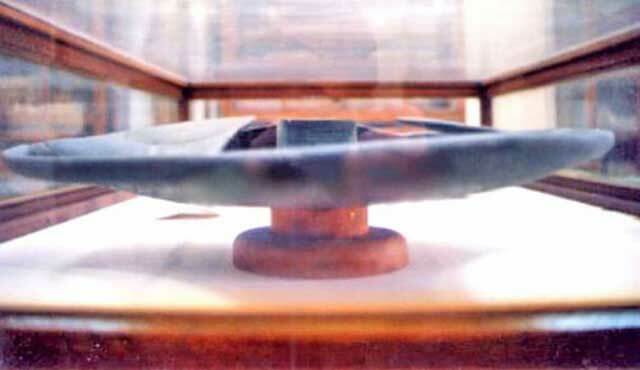 Had it been invented by the Egyptians a couple of millennia ago, surely they would have continued improving these technologies in much the same manner that integrated circuits (‘chips’) for computers and numerous other modern sciences continue to become more advanced with each passing year. Why do foreigners today have to attempt to unravel the mysteries of ancient Egyptian technologies if these had been invented by the Egyptians themselves?